Tim is an Arabist, traveller, writer and lecturer. For almost thirty years his home has been the Yemeni capital San'a where he lives on the ruin-mound of the ancient Sabaean city, next to the modern donkey market. Tim's first book, Yemen: Travels in Dictionary Land, won the 1998 Thomas Cook / Daily Telegraph Travel Book Award. 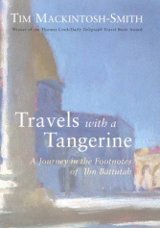 His next, the best-selling Travels with a Tangerine, retraces the journeys of the fourteenth-century Moroccan traveler Ibn Battutah in the old Islamic world. Both works are New York Times Notable Books. Tim has also edited Ibn Battutah's own Travels. 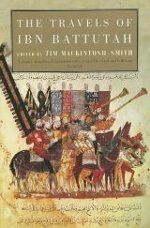 His book, The Hall of a Thousand Columns, revisits the scenes of Ibn Battutah's Indian adventures and was published in March 2005 (paperback 2006). In May 2011, Tim was named by Newsweek as one of the twelve finest travel writers of the past hundred years. 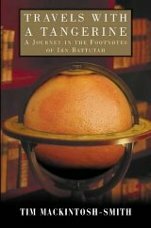 A sequel, Landfalls: On the Edge of Islam with Ibn Battutah, tracing the Moroccan's wanderings from Zanzibar to the Alhambra, via China and Timbuktu - was published in August 2010. It won The Oldie best travel writer for 2010 award, its editor Richard Ingrams noting "this fascinating book ... proves that reports of the death of the travel book are premature". Landfalls was awarded the Ibn Battutah Prize of Honour by the Arab Centre for Geographical Literature. A paperback version is due in late May 2011. Click for further information and reviews of: Yemen: Travels in Dictionary Land; Travels with a Tangerine; The Hall of a Thousand Columns and Landfalls. Tim has made a well-received three-part TV series on Ibn Battutah's travels from Morocco to China. Tim is an experienced and witty lecturer. In 2005 he lectured at the renowned Royal Geographical Socety in London and in 2009 presented the prestigious annual H.A.R. Gibb Arabic & Islamic Studies Lectures at Harvard University's Center for Middle Eastern Studies. Among several presentations to launch Landfalls, he lectured about Ibn Battutah at the Royal Geographical Society for the charity BookPower and was interviewed by BBC Radio 4's Excess Baggage. A profile in the Daily Telegraph described Tim as "the sage of Sana'a". Tim has been anthologized in the Picador Book of Journeys and Howard Marks' Book of Dope Stories and has been translated into languages as diverse as Norse and Chinese.